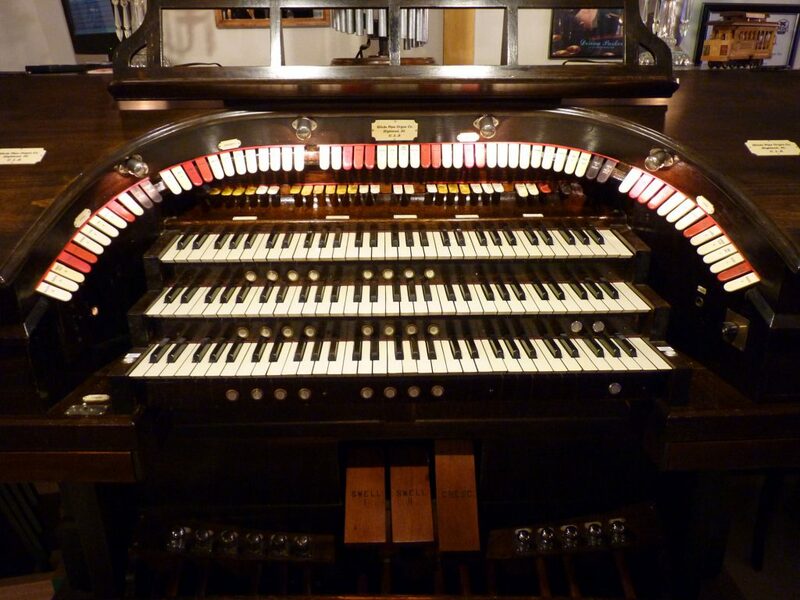 My creation began in 1927 at the Wicks Organ Company in Highland, IL. I began as a 3 manual 6 rank theatre pipe organ with a toy counter, harp, xylophone and chimes. My first home was the Granada Theatre in Greencastle, IN. I arrived there in 1928 and spent 8 years entertaining audiences with all of my fun sounds and added instruments. My first organist was William Blauchard. In 1936 I was moved to my new home, which is now Day and Carter Funeral Home in Bedford, IN. Many of my features were not needed in this particular setting. For years I was not used at all and due to the introduction of electronic keyboards, I was soon to be replaced. In April 2004, I was dismantled piece by piece and began my journey to my current home with the Masching family in Millstadt, IL. Since that time, I have been a work in progress. My old paint was removed and taken back to the original finish. My pipes were cleaned, repaired and installed. With many updates and new additions, I now have 3 manuals and 15 ranks with a larger toy counter, glockenspiel, piano, tuned sleigh bells, drums, xylophone and chimes, plus more. I am now 90 years old and am still bringing music to audiences through the talent of many artists.